A-Thrill-A-Week is thrilled to host an interview with Jeff Lindsay, who is well known for his New York Times Best Selling Dexter Series which was the inspiration for Showtime’s TV series by the same name. Now that Lindsay has laid Dexter to rest with his last book in the series, Dexter is Dead, Lindsay is now working on a new project, the Billy Knight series. Today he is going to give us a little insight into the first two books of the series, Tropical Depression and Red Tide. Billy Knight is a character that you created over two decades ago, what made you decide to resurrect him now? 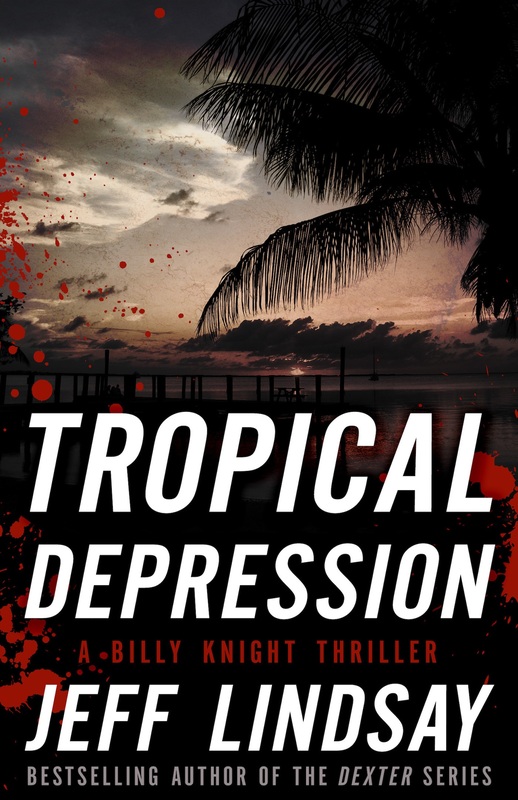 I went back and re-read Tropical Depression – which is something I never do. To me, when it’s published, it’s like yesterday’s newspaper – it’s done, let’s move on. But this was from like 20 years ago, and I found myself reading it like it was somebody else’s, and thinking, “Hey, this is good – I hope there’s more – oh, wait, it’s me.” So when the chance came up to bring Billy back, I jumped at it. I really liked him then, and so did a lot of other people. 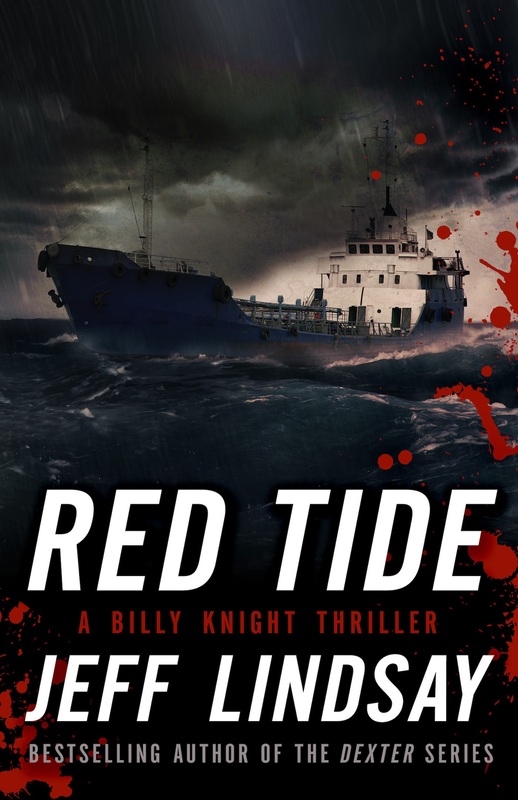 Red Tide takes off after Tropical Depression ends, which means that the time line for the series is circa mid-1990s, do you plan to keep Billy Knight in the 90s, or do you plan to age him a bit as the series continues? I haven’t thought about that yet. If I could switch genres and not get shot for it, I’d consider time travel, or suspended animation. Maybe I can update, and just hope nobody notices. I really don’t know – but I think it’s a fun problem to have. I know that Miami and Florida is you stomping grounds and much of the series takes place in Key West as well as Miami, but much of Tropical Depression took place in Los Angeles, did you spend much time there? Yeah, I did. I think too much time. My joke is, I did 12 years of hard time – in Hollywood. I didn’t like it much. And because of the weather and the general dreamy trance state you get in there, you have no sense of time passing. When I realized it was 12 years, I was like, expletive deleted! Where did it go? Nicky Cameron is a fun and quirky character, what was the inspiration in his development? He’s based very closely on one of my best friends in the world. He is, like Nicky, an Aussie, and a New Age Guru. He also eats like a Tasmanian Devil attacking a plate of chicken. My buddy is a true character, and he’s also a fantastic actor. Since I met him, I’ve written apart for him into everything I write. Nicky is for him – and really IS him. Racism, particularly within law enforcement, is in an underlying theme in Tropical Depression and Red Tide, is this something that you plan to continue to address as the series continues? It’s something I always try to address. And in the twenty years since I wrote the book, it’s gotten worse – because now we’re complacent about it. Everybody thinks we’ve made so much progress they don’t see reality – they’re gutting the Voting Rights Act, for God’s sake. The truth is, we’re being slowly maneuvered backwards – I mean, I expect to hear Separate is Equal any day now. I can’t do a whole lot more than anybody else to stop the slide and get us moving forward again, but what I can do – write about it – I will. If Hollywood comes knocking at your door wanting to turn Billy Knight into a new TV series, will you answer? To be perfectly honest, which is sometimes unavoidable, I don’t answer the door much, and when I do I’m usually armed. But if they go through my agent, I’d be delighted to see Billy on TV. It’s a great setting, I think the characters are fun and interesting, and I have no problem at all with TV as a medium. Thanks to my Hollywood experience, I understand completely that it’s a different medium with different demands, and that’s fine with me. Tropical Depression was re-released on August 25th and Red Tide will be released on October 27th. Posted in Crime Thriller.Tagged billy knight, Book Review, Book Review Blog, books, Crime Thriller, Jeff Lindsay.